What is Triggering the Current Wave of Political Violence? 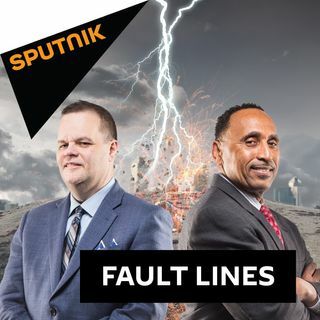 On this episode of Fault Lines, host Garland Nixon is joined by Producer Eric Ladny to discuss what factors are driving recent acts of politically motivated violence. Is inflamed rhetoric largely responsible, or are mental health issues and desperate circumstances intimately connected to these events? Dustin Stockton - Political Analyst and Former Breitbart Reporter | Is there Any Hope for Political Healing After the Midterm Elections? Talib Karim - Director of ... Maggiori informazioni 'STEM4US' | Why do Education and Student Loan Debt Get Ignored by Politicians? William Craddick - Founder of Disobedient Media | What Does Bolsonaro's Election Win Mean for Brazil? The current election cycle and political situation in the US have been incredibly tense and full of divisive rhetoric. Political Analyst and Former Breitbart Reporter Dustin Stockton returns to the show to give his predictions for the midterms and to discuss if there is any possibility for political healing following next week's voting. There appears to be a crisis on the horizon regarding 'student debt', and yet, most politicians seem unwilling to discuss the major reforms needed to improve public education. Talib Karim, Director of 'STEM4US', joins the hosts in-studio to discuss the importance of modernizing the education system and how to develop the skills needed to succeed in the economy of the future. For the final segment, William Craddick, founder of DisobedientMedia.com, joins the show to discuss the election victory of Jair Bolsonaro in Brazil. What were the main factors, including systemic corruption, that brought about Bolsonaro's win, and how will this result impact Brazil moving forward?